Have you made your preparations for New Year’s Eve? 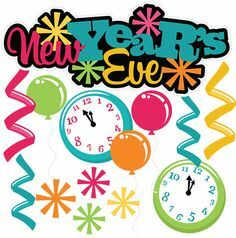 Are you excited about New Year’s Eve? Are you looking forward to New Year’s Eve? Well, neither am I. Perhaps I am just getting grumpy in my old age, but I’ve never had a desire to go to New York or anyplace else to see the ball drop. (If I want to see a ball drop, I can just wait for the Bengals playoff game on Sunday.) I guess I’ve never had much of a desire to do anything on New Year’s Eve. In fact I cannot remember the last time I even had plans on New Year’s Eve. I remember as a kid New Year’s consisted of 1) staying up until midnight which was something I usually did not get to do, 2) watching Guy Lombardo & His Royal Canadians on television which was something I did not especially want to do, and 3) eating Cassano’s Pizza in the living room while watching TV which is something I always wanted to do. Number 3 was the most impressive part because eating pizza and watching TV at the same time was an experience reserved only for very special occasions. Sometimes I wonder how different today’s kids would be if they spent New Year’s Eve watching Guy Lombardo (and Lawrence Welk weekly) as I was somewhat forced to do? But I digress. As I moved into my teens Guy Lombardo was replaced by the Watch Night Service at church where we gathered to watch movies about the Rapture to ring in the New Year. This was usually followed by tuning in Wolfman Jack on The Midnight Special upon returning home. One of the more memorable New Year’s was my senior year in high school when after the Watch Night service I went to a friend’s house where the wild and crazy bunch of kids I hung around with sat around telling jokes and discussing which M&M color tasted the best. Yes, I did have a real wild streak during my high school years. That year the temperature on New Year’s Eve ranged from a low of -6 to a high of 10 followed by a balmy New Year’s Day with a low of 0 and a high of 14! Perhaps it was that New Year’s when the thought of going to a college in Florida started to sound like a really, really good idea. When my boys were small New Year’s was fun because they were excited to stay up late, eat lots of junk and ring in the New Year. Then, of course, there was all the excitement of Y2K – when, as it turned out, nothing happened, just like most of my New Year’s. Now the boys are all out doing their own thing on New Year’s Eve and that just leaves the two of us at home with the odds being pretty good that neither of us will actually be awake at midnight. So, here is wishing you a Happy New Year and hoping that you get to whoop it up this New Year’s Eve! I see that there are plenty of Guy Lombardo videos on YouTube, so maybe for old time’s sake I’ll see if I can find a Cassanos and eat in front of the computer monitor which, by the way, probably has a larger screen than that old black and white TV in the living room did. Yes sir, I am going to start off 2015 living on the edge! This entry was posted in Humor and tagged New Year's Eve on December 30, 2014 by Leonard. This Friday Funny greets the day after Christmas. The presents have all been opened and a lot of goodies have been eaten. All that remains are the leftovers, the returns, the bills, and, for some, the fruit cake. Perhaps you are a fan of fruit cake, this Friday Funny is not for you. If you are in the 99.98% that are not fans of fruit cake, read on and enjoy! Did you know that fruitcake has been around since the time of ancient Rome, some even think that the fruit cakes passed around to today were originally re-gifted in the mid-first century. 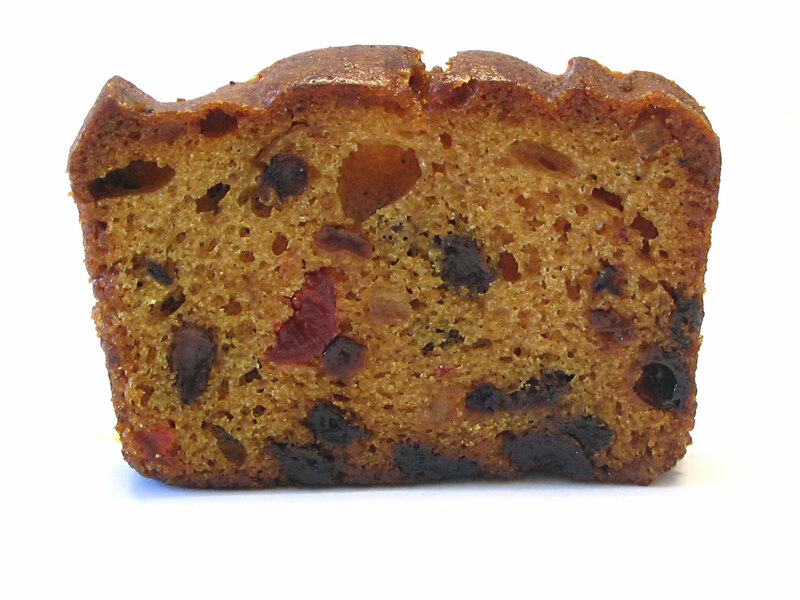 Perhaps it is an urban legend, but some people have been rumored to have actually eaten fruitcake, most likely after all of the figgie pudding and mincemeat pies were gone. We you hear the words “fruit cake,” perhaps it brings to mind an image of fruits and nuts with just enough batter to hold them together. Why eat something that might be healthy like fruits and nuts by themselves when you can take away the nutritional and the taste by adding a little cake batter? Did you know that if wrapped properly and sealed tightly, a fruitcake may be kept for months or even years? However, if your fruitcake is older than you are, it is probably time to pass it along or consider burying it at the nearest site that accepts hazardous material.  To prevent over-browning (we wouldn’t want the appearance of our fruitcake to be less appealing than it already is would we? ), line the bottom and sides of the pan with foil. If you leave extra foil overlapping the sides, it will make a little carrier that will help you transport it to the trashcan.  When baking, set the fruitcake pan in a baking pan (13×9-inch) half-filled with water to prevent burning around the edges. Set the pan in the garbage can and place at the curb. You might need to check local laws regarding hazardous waste.  Let fruitcake cool in the pan for about 10 days, then turn out onto a rack to cool completely.  For long-term storage, bury the fruitcake at night at a safe distance at an unmarked location. If, on the other hand, you find yourself on the receiving end of a fruitcake, here are a few suggestions for what to do with it. 1) Put it in a safe place for ten years, then re-gift. 2) Use ti as a weight to hold down your portable basketball goal, this will help to keep the goal from tipping over during periods of high winds. 3) If you get two, tie at each end of a study pole and use as a free weight. 4) If you have pickup truck, you can place fruitcake in the truck bed to add weight for traction in the snow. 5) Fruitcakes make excellent boundary markers for your driveway or yard during snowy months and the hold their shape no matter how many times you or the snow plow run over them. 6) If you cannot use it during the winter months, just hang onto it until spring and use as a boat anchor. This entry was posted in Friday Funny, Humor and tagged Fruit Cake on December 25, 2014 by Leonard. At this time of the year, we are bombarded by holiday music. Some stations have had Christmas music nonstop since the end of November. Perhaps, like me, you find yourself singing along once in a while with one of your favorites. Perhaps certain songs bring back a special Christmas memory. Perhaps, by now, you have just become numb as all the songs have just blended into white noise in the background. 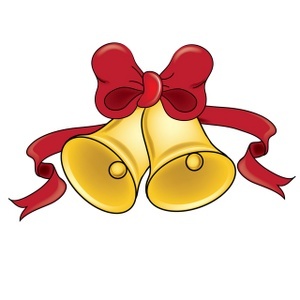 This entry was posted in Uncategorized and tagged Christmas Bells on December 24, 2014 by Leonard. 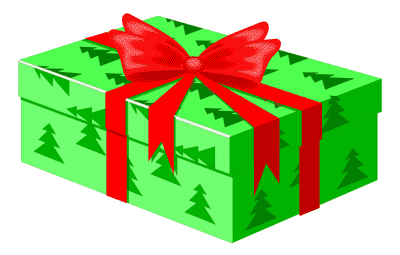 Earlier this week, I shared some good tips I found on the Internet for buying gifts for men. So, on this Friday before Christmas, I thought it only proper, to deal with gifts for women. While men are extremely easy to shop for, women are extremely difficult to shop for. Given this, I thought it might be easier to offer some general suggestions on what not to buy. Appliances are to be avoided like the plague. Well pretty much any gift that translates into work (i.e. blender, toaster, vacuum, anything for the house “as seen on TV.” I have been told that the general rule of thumb is that if it has a plug, don’t buy it. Cleaning supplies are to avoided like the flu. If the thought ever crosses your mind to buy a women Tide, Windex, Tidy Bowl just fight it or prepare to spend the rest of your life alone in a house you will have cleaned with those supplies..
Just avoid any gift for yourself that you intend to pass off as a gift for her. This applies to power tools, sporting event tickets and DVD’s of the Three Stooges. If you really want it for yourself, but it for yourself, just make sure you buy her something nicer. Don’t even think of no name perfume like a $3.99 pint of Eu de Paris, which will not remind anyone of France unless it might be the local waste water plant. If you are going to buy her perfume, at least purchase a brand that both of you have heard of. Please, please, please do not give her any type of cubic zirconia jewelry you saw on some shopping network and never, never, never try to pass this off as a real diamond. The day will come when she will be embarrassed and you will be lucky to have all your teeth. You will be tempted to buy clothes. You have gone shopping together, you know think you know what she likes, you know her size. So, no problem, right? Wrong! This is a trap!! Please do not fall for it. There are three possible outcomes when you but her clothes: a) they do not fit, b) it is the wrong color, c) she just does not like it. If you want the relationship to last past Christmas Day do not give her a gift certificate to Jenny Craig, Nutrisystem, or Weight Watchers. Please tell me you already knew this one. Never buy a woman anti-wrinkle cream, or anything that is supposed to help her look “younger.” These gifts may result in serous bodily harm to your person. If this has eliminated all your gift ideas, just go with a nice pair of earrings. Happy Shopping! This entry was posted in Friday Funny, Humor and tagged christams shopping on December 18, 2014 by Leonard. Happy Friday! 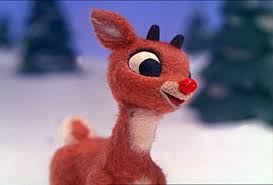 Christmas is fast approaching and the airwaves are filled with holiday songs. 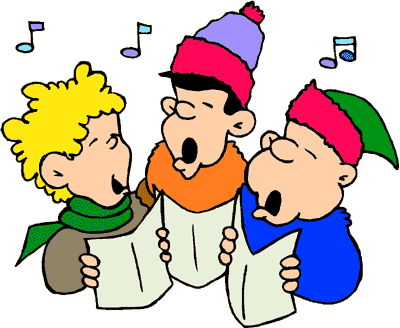 Perhaps you enjoy singing along with your favorite tunes and carols. But are you sure you are singing the correct words? If have found yourself mishearing words to songs, you just might have found a mondegreen. Here are some amusing Christmas song mondegreens to kick off your weekend. This entry was posted in Friday Funny, Humor and tagged Christmas mondegreens on December 11, 2014 by Leonard.